"Look Pirate Tough - Close enough"
Unfortunately we only see my parents a couple of times a year as we live quite a distance away from them. This distance has been shrunk since getting Mum an iPad so now we can share videos and photos and even Skype between visits. Mum is a great seamstress. 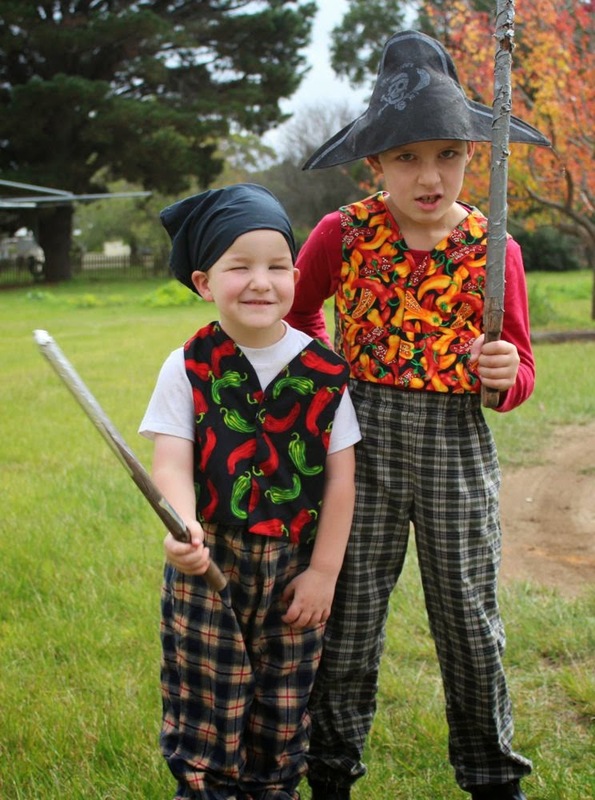 Recently the younger boys wanted pirate outfits. With little more than their rough measurements and some movie pirates on which to base costumes, Mum created some great outfits. This photo is of the boys playing in the Pirate costumes. "Look Pirate Tough" I asked the boys so we could show off the costumes. They struck this pose. I shrugged and said "Close enough". When a parcel arrives from Grandma the recipients take as little time as possible to access the goodies inside and test them out. Considering the new word of approval, cries of "Awesome" follow their revelation of the box's contents. Over the years we have collected quite a bit of Lego. In early days we found much of it at Garage or Yard sales, especially in more affluent suburbs where the best stuff was for sale. 8 children and many years later and we have quite a collection. A young lad popped over the other day and his jaw dropped when he saw the lego in the play room. 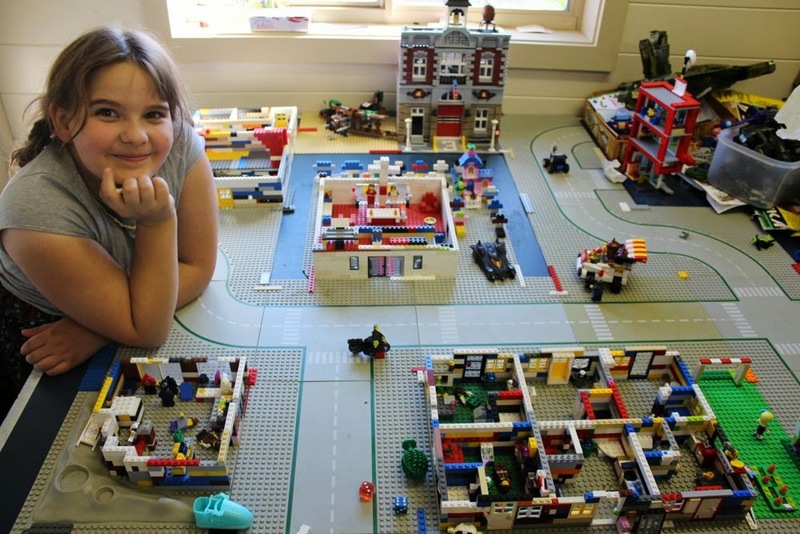 Today Clare decided to make a game using Lego, applying many of her experiences with her brothers and wargaming. "If you roll a 1 or a 2 the Lego person goes through a normal life. If you roll a 3 or 4 your Lego person is a detective and you have to solve a mystery. If you roll a 5 or 6 an Alien comes to Earth and you have to find it." Clare came into the study and started explaining the game to Lana. 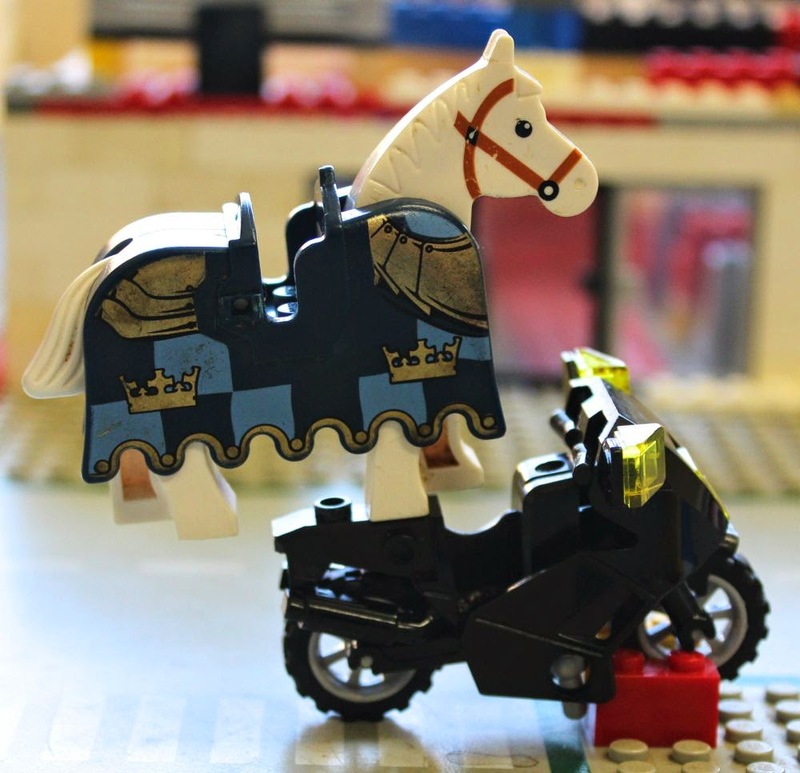 I was working at my computer and only part listening until I heard the rule, "and a horse walking on a motorbike". I turned and asked, "How does that work?" Then I had the rule explained more clearly as, "I worked out how fast you can go on a horse, walking or on a motorbike." That made much more sense. The children all had a great game, using imagination with the assistance of Lego and dice. Great! It is a great benefit having Lana's parents living with us. It is not for baby sitting as the children either come with us or the older children can do the job. It is for the benefit of just being there. 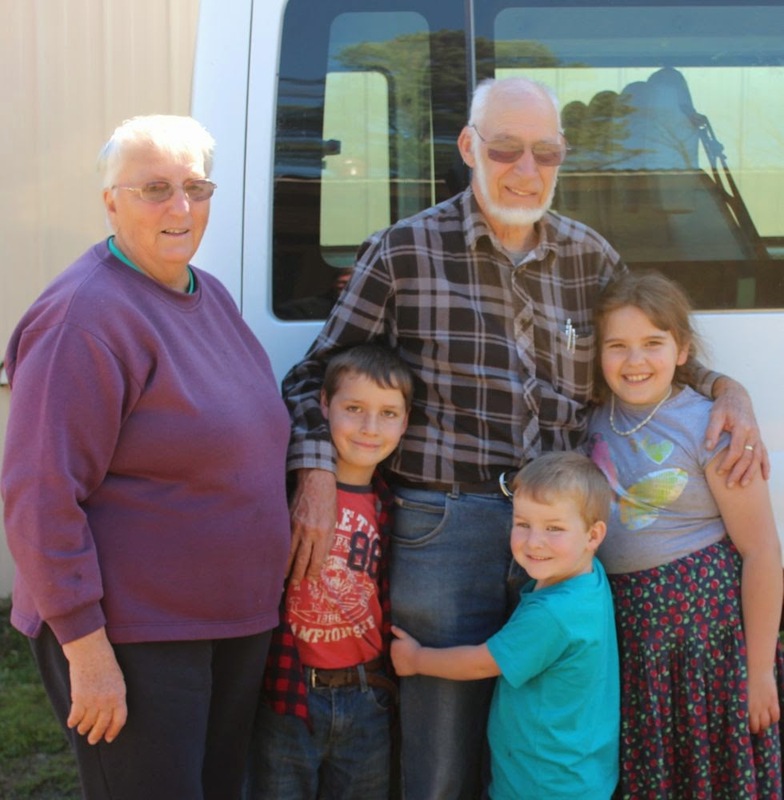 The children all remember wandering across to Grandma and Opa's place for morning tea - basically a biscuit or lolly and a cup of milk. They have all helped in the garden or carrying various tools or otherwise "helping" in various household tasks. Sometimes we get complaints of a bit too much "help". Yesterday Opa was going for a walk with Zach, Martin and Rose. Martin and Rose ran ahead while Zach stayed behind and held onto Opa's hand. He looked up at Opa and said, "I like you Opa. You and Grandma. Awesome." Now that is what I call positive reinforcement. 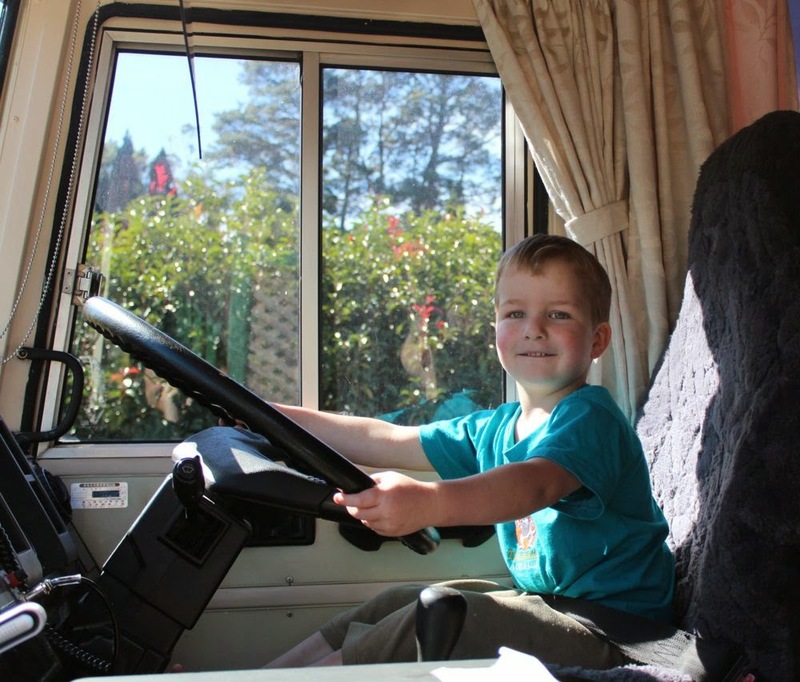 Rose and Zach were helping Opa pack their bus for their weekend trip. Opa walked around the corner of the bus, out of direct sight. Zach paused and said, "Dammit. We lost him." A few steps later and they caught up with him. 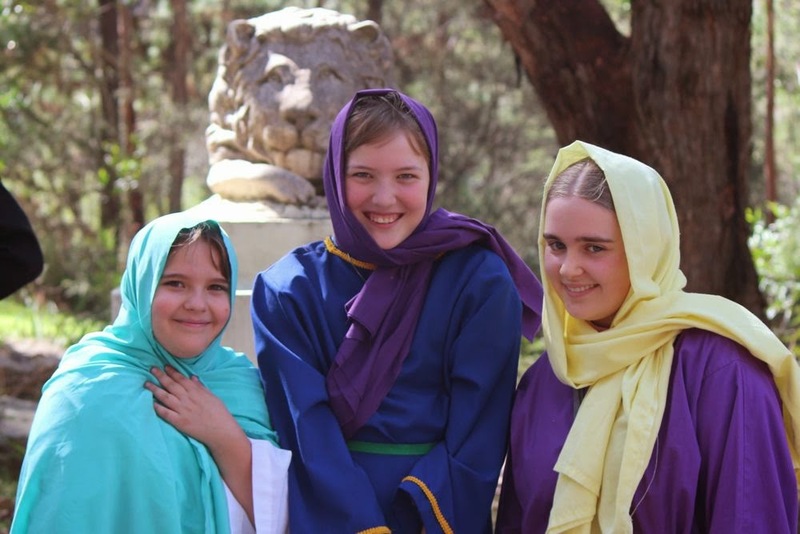 Good Friday is the day we join in the Passion Play celebrated at The Pauline Fathers Monastery at Penrose Park, NSW, Australia. 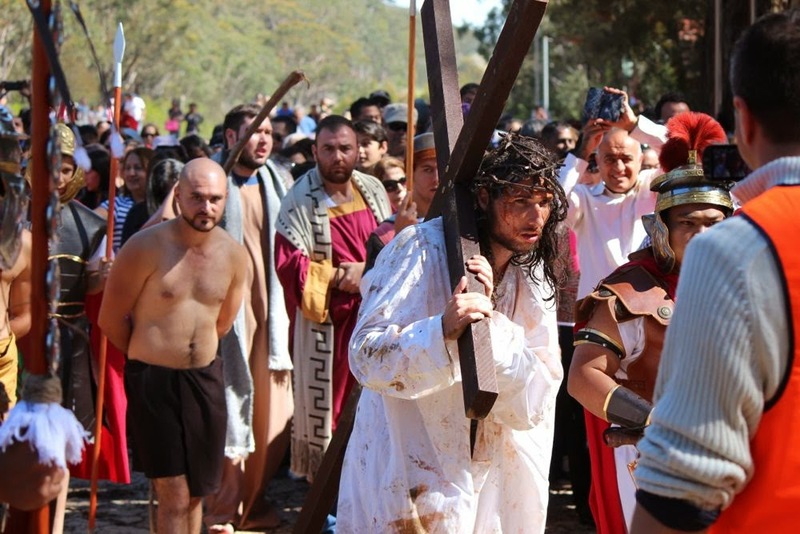 It is worth the drive (about 1 hour from the outskirts of Sydney or 90 minutes from Canberra) to take part in the recreation of the Passion of Christ, from the events of Holy Thursday night through to Jesus' death and burial. Rose, Clare and a friend ready to play the wailing women. 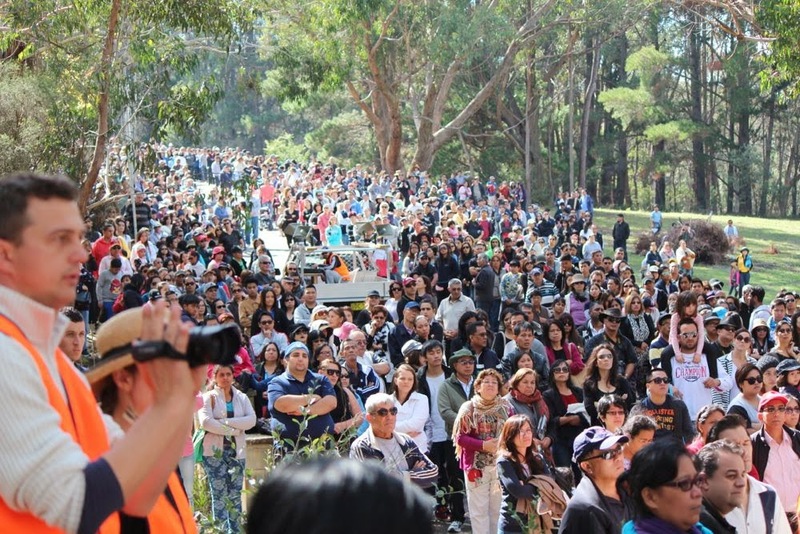 As the weather today was perfect there was somewhere around 7,000 or more people watching and praying as the play proceeded from the front gate through to the grotto on the 100 acre property. 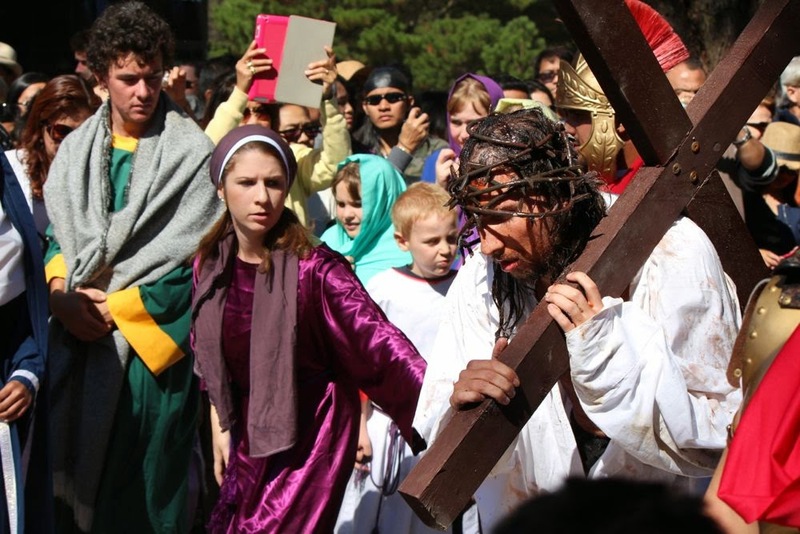 The best part about the Passion Play is it works on all five senses. You see the actors playing all the roles, you hear not only the words, but also the murmurs of the crowd and props such as weapons and armour. You smell the dust and people around you and feel the sun above and ground beneath as you follow the scenes and also feel the bumps and crush of the crowd at pivotal points. And lastly you can taste the air and remember the hunger on this day of fasting. Combined with the prayer and reflection, you get a more immersive exposure to the story of Christ's passion. Another memorable part is the worldwide collection of languages and nationalities making up the crowd. We become pretty used to the worldwide or universal nature of the Church, but a visitor attending his first play mentioned to me how the diversity really hit home the worldwide nature of Catholicism. 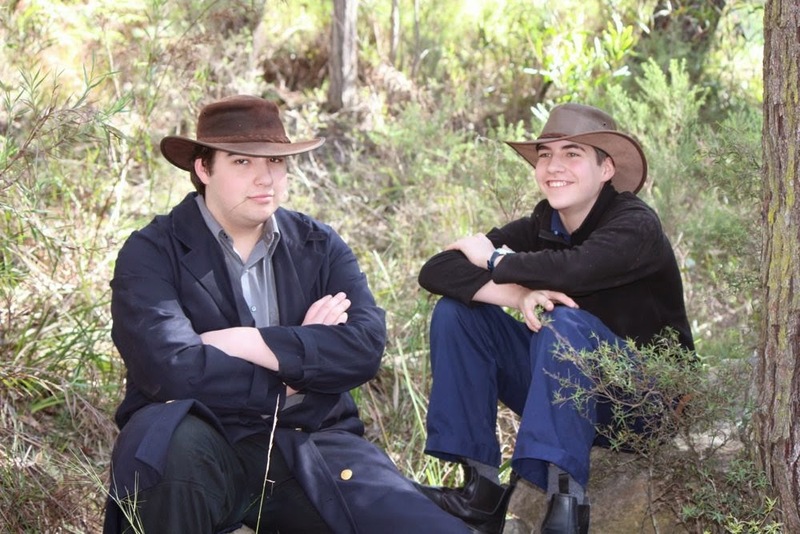 The actors are sourced from local homeschooling families and youth groups from the various parishes run by the Pauline Fathers in Sydney. The costumes and sets improve each year, building on what came before. 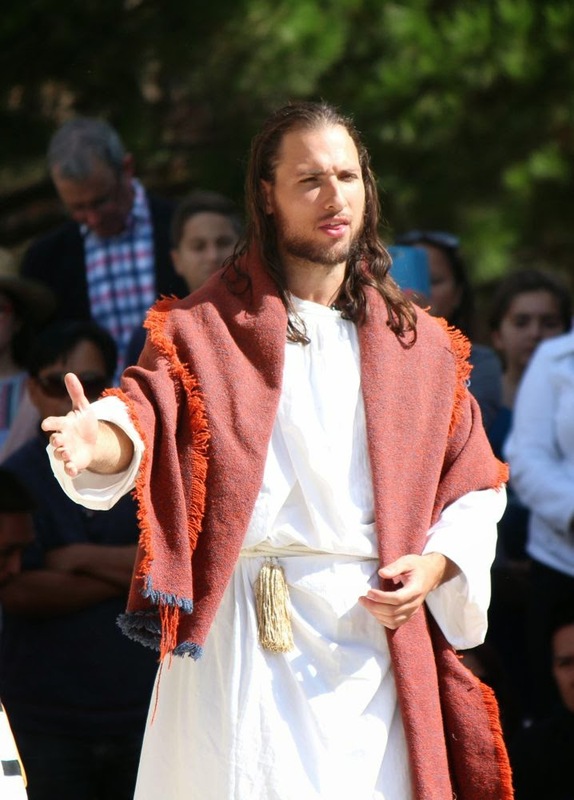 The passion play that was part of World Youth Day provided a gift of the costumes they used to the organisers of the Pauline Fathers' play. Lana was on the phone. So Rose came up to Ariel and stood there waiting. Ariel raised her eyebrow in inquiry. "I'm waiting for Zach and Martin because there has been name calling," Rose said. Once the boys turned up Ariel asked "What happened?" Rose said "Zach called Martin Ramsbottom." Ariel paused, wondering how to respond. "And then Martin called Zach Zee," Rose continued. We have a pretty strict policy against name calling and come down pretty hard on breaches of the peace. Rose said, "And then Martin hid behind one of the flags with clear [safety] glasses and Zach patted him on the nose." Such tragedy! Such abuse! How does one respond to such cruelty? "Don't hit each other. Don't call names. Go away and play." "Okay," the boys said and went and played. There you go. 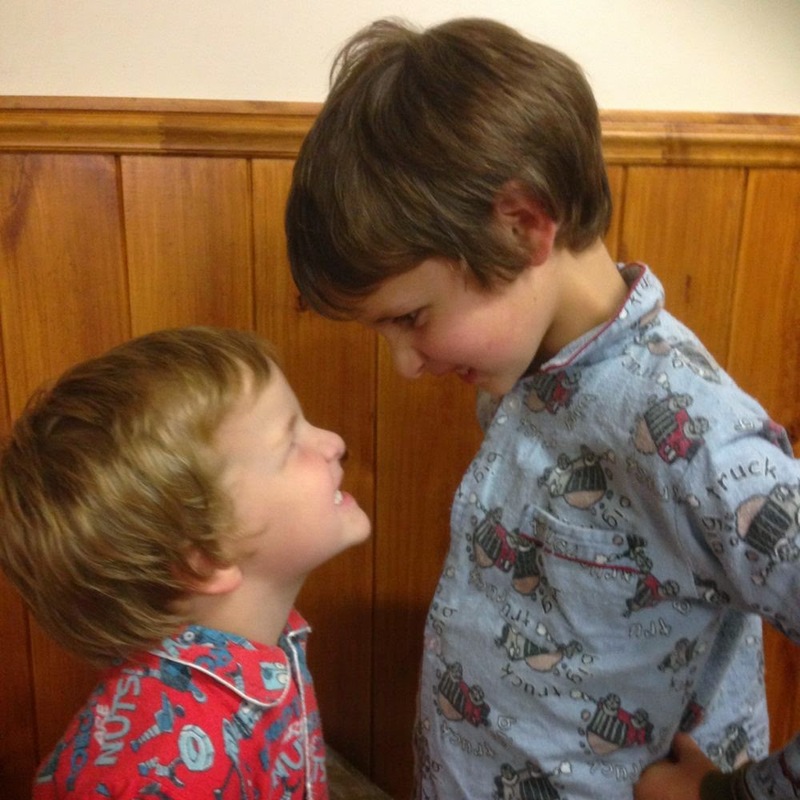 Sibling rivalry at its worst! This tasty treat is based on a recipe found somewhere and perfected with endless experiments and taste tests. It only takes about 15 minutes to make, let cool and then cut into slices. The recipe is very forgiving. Throw in whatever is on hand that sounds nice and then glue it together with the goo. • Chuck all the dry ingredients in a bowl and mix together. • Melt goo mix in saucepan. • Bring to boil, reduce the heat and let simmer for 5 minutes until the goo is caramel like. The longer you simmer, the chewier it gets. Just don't let it burn on the bottom of the pan. • Throw gooey stuff into the bowl and mix thoroughly, ensuring everything gets well gooed. • Press into greased (or non stick) lamington tin (20 x 30cm/8in x 12in) and refrigerate. • Pretty soon it can be cut into bars. A tray should make about 36 bars. • Use Tropical muesli to get a wide variety of fruits and stuff. 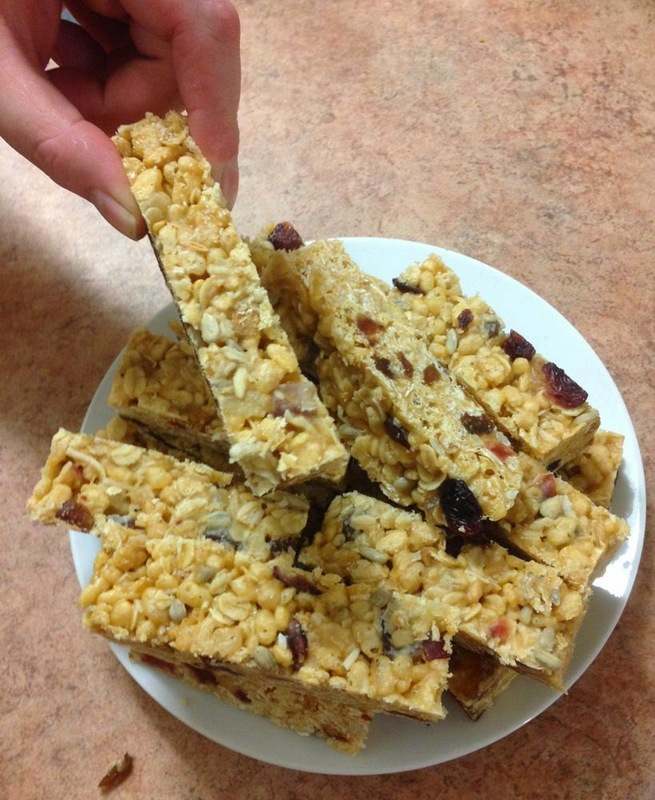 • Add in finely cut apricots, dried apples and currants/sultanas for added chew. We usually add about 1 to 2 cups of various fruit medley, etc. • Use more honey and peanut butter for extra chew. Yesterday Clare came with me as I visited a few clients then did some wholesale shopping for our shop. This meant waking at 5:30am to leave by 6:00pm so we could get to the first client at around 8:00am. "It's so dark!" Clare commented as we left, using a torch (flashlight) to get to the car. "There's a lot of cars going to the city," said Clare and was amazed as the kilometres sped by and more and more cars continued to join us until we were surrounded by cars. Luckily traffic flowed pretty well today, but it was still a 2.25 hour drive. "Ooh!" she said as the lift went up 6 floors and "Oh!" as it slowed down. "Elevators are cool,"
She read her books pretty quickly while I helped my clients and then she tagged along as I finished up. A couple of the employees said to each other, "We better watch our language as David's daughter is here!" "The buildings are really tall and way too close together!" she noticed. The second client and the wholesale businesses were near the airport, so plenty of planes were visible reasonably close. "They're so close. Planes are cool." I have been assisting the second client for almost 20 years so we are on pretty familiar ground. He said to Clare as we were leaving, "Thank you Clare. You did a great job." All in all it was a good day having Clare come along spending a day with Dad. 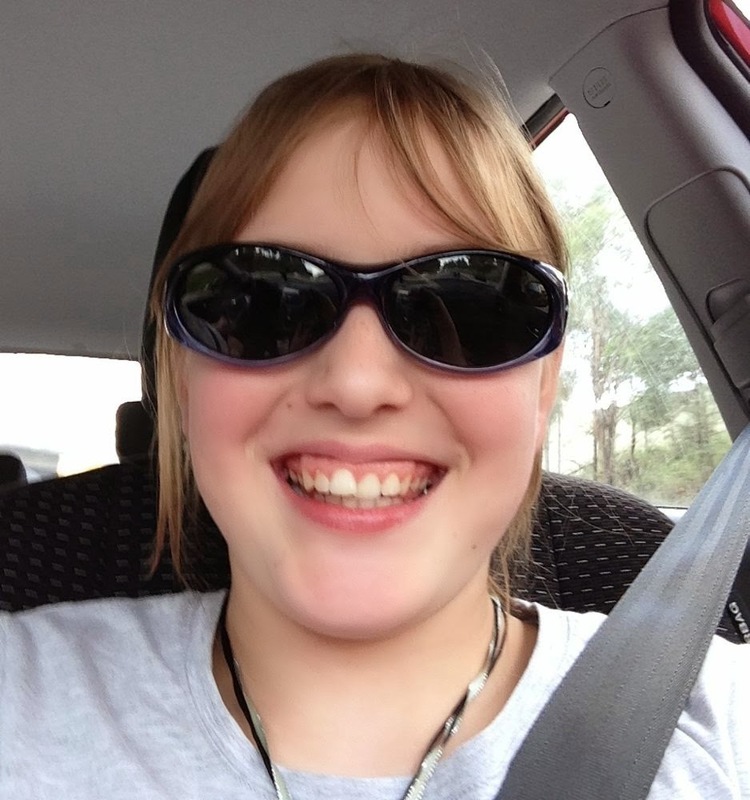 This goes down under "Work Experience" or "Field Trip" in our homeschool diary. Many of the people we encountered asked "No school today?" to which we promptly answered, "We homeschool. This is a field trip."